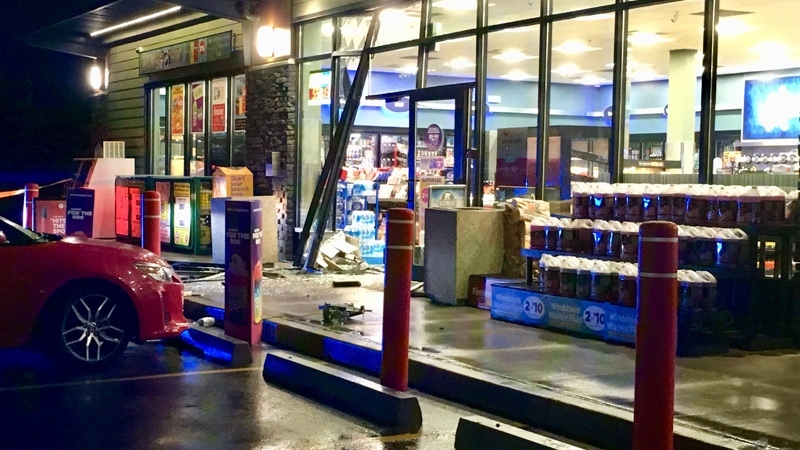 Police are asking for the public’s help to find the thieves who smashed a truck into the entrance of a west Edmonton convenience store, and then dragged the ATM out early Wednesday morning. EPS said officers were called to the reported theft at the Mac’s store on 93 Avenue and 215 Street at about 5:15 a.m.
Investigators learned a white pick-up truck had smashed into the front doors of the business, before two suspects got out of the car, tied a rope around the ATM, and then used the truck to remove the ATM from inside the business. The truck, with the suspects inside, then fled south toward Suder Greens Drive. Police released a photo showing a truck they believe to be linked to the theft. 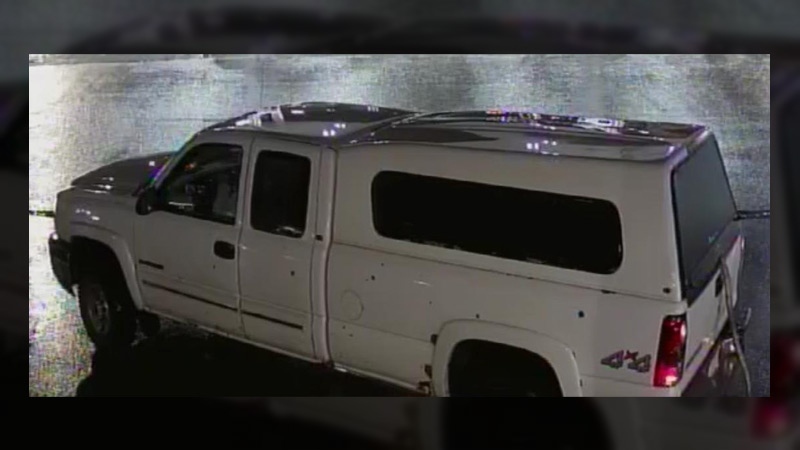 The vehicle is described as: a mid-2000s white Chevrolet Silverado with a canopy. 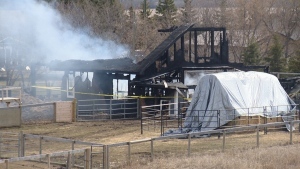 Anyone with details that could help police in their investigation is asked to call the Edmonton Police Service non-emergency line at 780-423-4567 or #377 on a mobile phone. EPS released a photo showing a vehicle believed to have been used in an ATM theft early Wednesday, September 12, 2018. Supplied. EPS said an ATM was stolen from the Mac's store in the area of 93 Ave. and 215 St. on Wednesday, September 12, 2018.